Though not currently in season, I was surprised to find a box of beautiful English pears being sold at my local grocer. 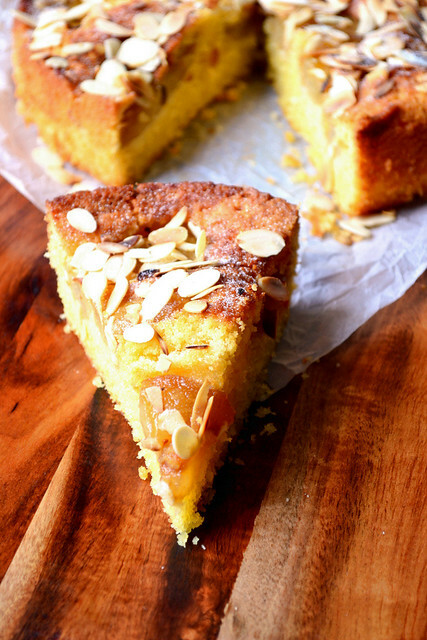 On the look out for cake ingredients, I dutifully filled my basket with this succulent, juicy fruit – perhaps my favourite – and retreated to the kitchen to bake my Pear and Almond Cake. 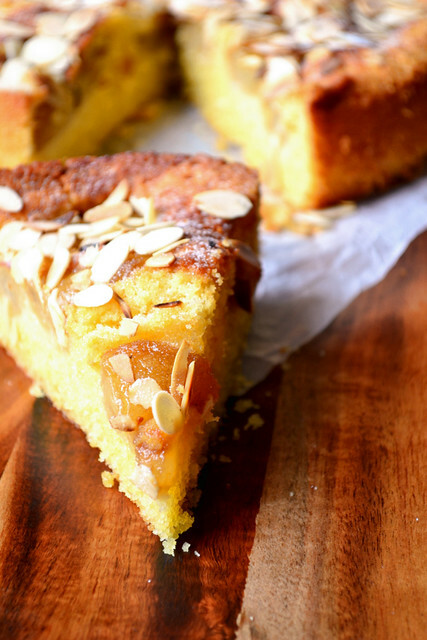 Pear and almond cake is a real no-brainer. Both headline ingredients help to create such a wonderfully textured cake, developing a moisture that you couldn’t in your wildest dreams achieve in a regular sponge. There’s little need to be delicate; even over-baking the cake wouldn’t be terminal. But the almond and pear combination doesn’t just make for a cake that’s a pleasure to eat; the flavour is also tricky to parallel. If you were to ask me about my favourite cake ingredients, almonds would be right up there. Perhaps at the top. Their subtle nuttiness – forget almond extract – elevates any bake above most others. Perhaps the one aspect of a pear and almond cake that requires a little thought is the preparation of the fruit. The caramel is simple enough to make, but you need to be sure that the flame isn’t burning too hot. Burnt caramel isn’t pleasant. Remember, you’re looking for a dark golden brown colour. Any darker and your cake could turn out a little bitter. 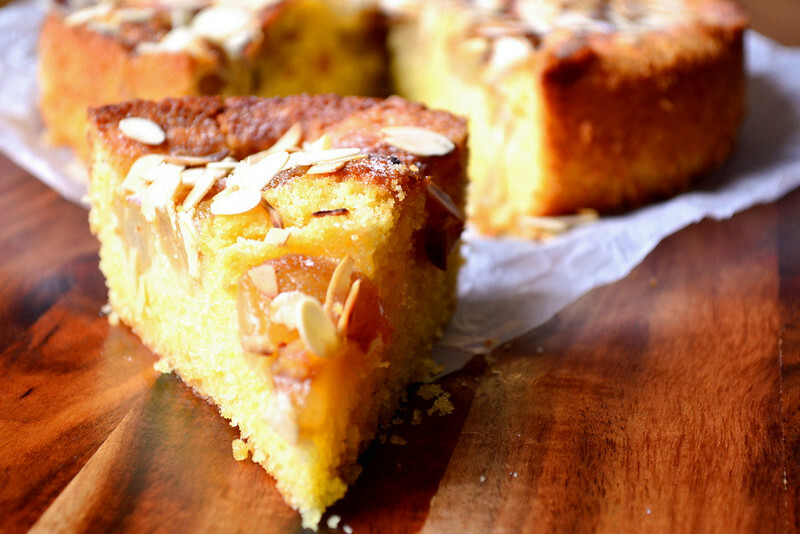 If you were in any doubt of the versatility and sheer joy of almonds in baking, hopefully this cake has changed your mind. If not, my recipes for Chocolate Prune Cake and Raspberry, Orange and Almond Traybake might do the trick. Melt 25g of butter in a frying pan, adding 1 tbsp of sugar. Continually shake the pan to create a golden brown caramel. Add the pear quarters and simmer for 5-10 minutes until browned. Set aside. Preheat the oven the 190C/170C(fan). Grease and line a 22cm springform pan. In a large mixing bowl, cream together the remaining butter and caster sugar. Thoroughly incorporate the eggs one by one, before folding in the flour and ground almonds. Transfer the batter to the prepared pan. Arrange the pears in the top and spoon over a small amount of the surplus caramel and juice. Bake for 40-45 minutes. Once cooked, set the cake aside to cool. Meanwhile, gently toast your flaked almonds. 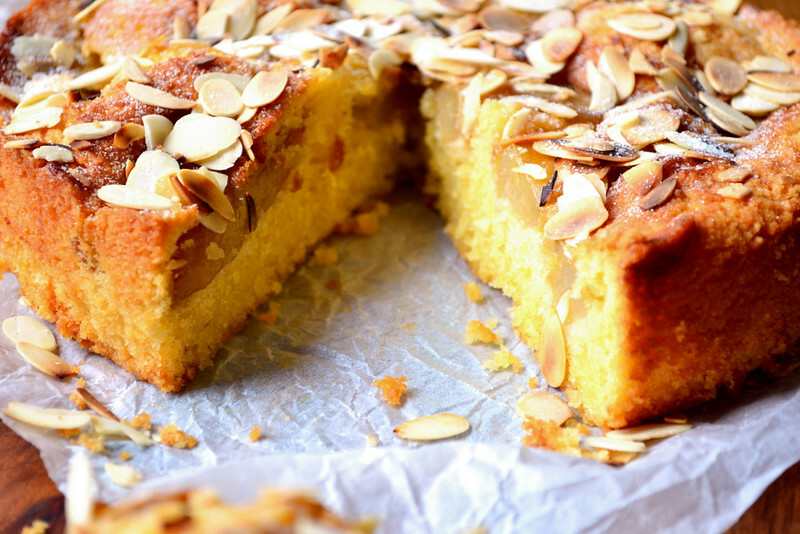 Turn the cake out, sprinkle with the almonds and icing sugar, and serve. Cost: Pears aren’t expensive at any time of year, but do try to buy British (or local) if possible. Almonds are a little more costly, but not prohibitively so if you shop around a little. 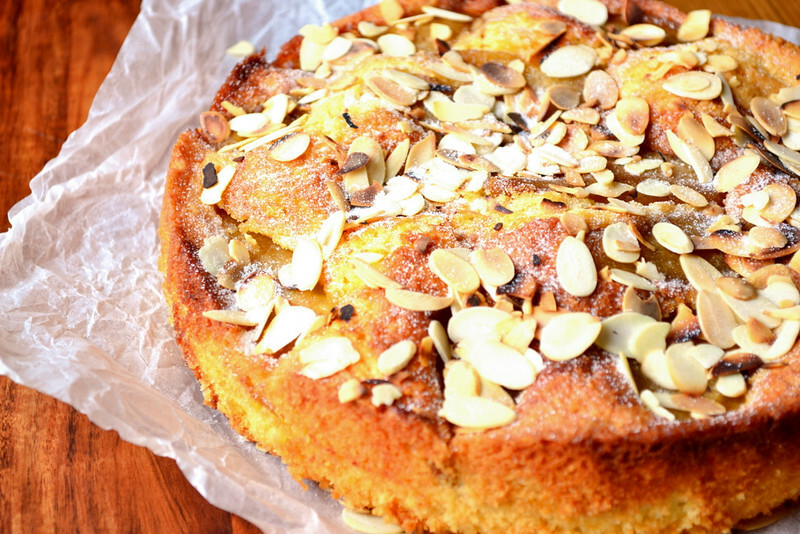 Indeed, all ingredients considered, this pear and almond cake recipe shouldn’t set you back more than £3. I love almonds but have never thought to match with pears…will definitely have to try this out!! A a very lovely cake thank you. Beautiful – perfectly matched, delicious flavours. Thank you 🙂 – I thought so too. Thanks, Maya – a real classic! This is just the kind of cake I love best. Delicious! Thank you – me too, rustic and beautifully flavoured! What a lovely cake. And, yeah, sometimes you’ve gotta just relax the in-season thing. Especially if beautiful fruit, already picked and delivered from wherever, is staring you in the face. Definitely – though they were still British pears. I only buy British from my grocer, which helps to keep things mostly with the seasons. this looks and sounds delicious, Nick! a must try! Thank you, Cathy! I made a similar peach version recently – recipe to follow! Beautiful cake, how can you possibly resist making and eating it with all those delicious ingredients. 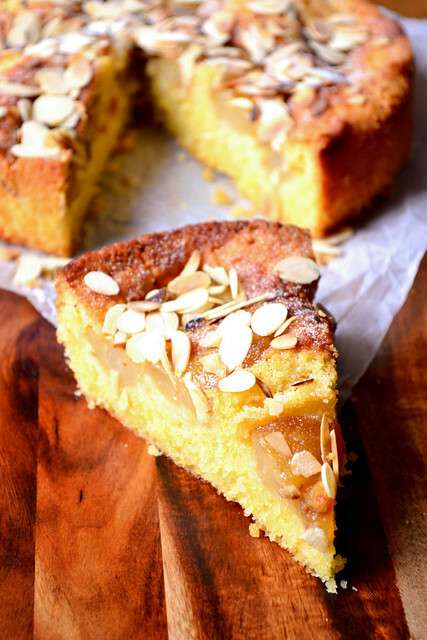 Ground & faked almonds, pears, butter, there’s no comparison in the taste & texture by using the ‘true’ ingredients as opposed to almond essence resulting in a delicious cake like this. Love it, making this as soon as I get some good pears, today hopefully, can’t wait! Until then, I’ll make your ‘Raspberry & Almond tray-bake’ & ‘Mince Pie Cake’ which are tried, tasted & are gorgeous. Made ‘Tempura Cauliflower’ & Prawns, delicious. Yes, let’s do away with almond essence! Glad you’re making so many of my recipes – let me know how you find everything :). They have me! I’m looking at pear and almond cake on your blog while being gently prodded by advertising for Evans Cycles suggesting some great discounts on Castelli tops and shorts. That’s pretty perfect remarketing. Haha – looks like you’ve been perusing too many cycling websites. Thanks, Conor. Actually, I just bought a new bike :D.
What dod you get? A friend of mine just had his new carbon Giant crack under him. (He is 18 stone.) Not happy. 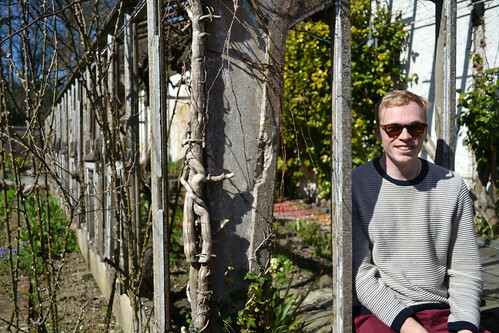 Happily, I’m no longer 18 stone. Got the Boardman Air 9.2. Bit pricey, but wanted to invest in good carbon and components. Love it. She’s a fine bike. I am firmly of the mind that spend on bike stuff is money very well spent. I get so much fun, satisfaction and sheer joy from cycling, the money is undoubtedly investment in self. It’s hard to avoid feeling guilty, all the same. I was feeling a bit guilty. But it’s on 0% finance, not too much per month and we’ll still be able to a buy house easily. No dipping into the savings! This bike is supposed to be properly fast too. The only problem I ever have with the bike is the engine. It’s not as high tech as the rest of it. That’s why I’m investing 😉 – my cheapish aluminium was holding me back! This cake is a total dream – why is it that almond slivers always make cakes look so rustic and wonderful and and and?? Thank you! Pin away! Perhaps it’s because we know they’re so utterly delicious. Nick, as soon as pear season rolls around, I’ll be making this cake! It would go splendidly with a cup of tea (my criteria for everything!). Please do. I just stumbled across these British pears and couldn’t help myself. Thank you for this delicious recipe! What sublime flavour! I love how the pears saturate the cake with their juice – as a side note, did you have liquid pooling on the bottom of the oven? I haven’t made many fruit cakes (although i intend to from now on!) but am going to suppose this isn’t such a rare occurrence due to the nature of the ingredients? Thank you! That’s quite strange – perhaps your pears were extra juicy? They shouldn’t be too ripe or I can definitely see this happening. Just made this. I added 1 teaspoon of vanilla extract and 1 extra egg because I only have 50 gram (small sized) eggs at the moment. Absolutely awesome! So moist and not too sweet. I had a slice when it was still warm with vanilla ice cream and a cup of tea. Made my afternoon. I will definitely try with raspberries & quince next time. love this cake recipe. One of may favorites. Delcious. This sounds Fabulous!! How would I make it gluten free? The cake is baking in the oven now. I hope it turns out nice! The caramel didn’t work out at all for the pears. It was just melted butter and then the sugar stayed separate and solidified at the bottom of the pan and around the edges. Normally caramel is made with sugar and water, maybe that’s why? But nobody else has complained of it not working so perhaps it was my technique. Anyway, caramel or no, I’m sure it’ll be tasty. This cake is so delicious!! !